What is the trial judge's role in overseeing the testimony of expert witnesses? Unlike lay witnesses, whose testimony a jury can evaluate with common sense and experience, expert witnesses offer conclusions based on practices and knowledge beyond the ken of the average juror. As a consequence, testimony by unpoliced expert witnesses can have a potentially prejudicial effect on jurors, who may be inclined to believe the experts based solely on their status as such. How is the trial judge to know whether the expert is merely speculating, or whether the evidence on which the expert bases his or her testimony is sufficient to support the conclusion? Judges certainly prevent lay witnesses from speculating and are expected to exclude a witness offering wholly speculative testimony. Why should the situation differ when the witness purports to be an "expert"? If one accepts the proposition that the trial judge has a duty to exclude unreliable experts, a host of concerns inevitably follows. How is a trial judge to assess the scientific or technical adequacy of expert testimony if even a cursory understanding of the issues requires specialized training? Can anyone without such training fully understand the issues and come to a rational conclusion as to their validity? To what degree can the trial judge rely on the expert's own assertions about his or her qualifications? All of these concerns carry heavy weight for in many cases the trial judge is hardly a more qualified assessor of scientific credibility than the jury itself. Suddenly, the Federal judge could no longer rely on the scientific community for a determination of an expert's credibility. Instead, judges are to make the determination on their own. Federal trial judges are to decide for themselves whether an expert's methodology -- the often highly complicated basis for the conclusions -- is reliable. Although the Daubert case itself deals only with trials conducted under the Federal Rules of Evidence, most states have chosen to adopt its test in one form or another. Louisiana, for example, adopted a variant of the Daubert test in State v. Foret. (9) While few state trial judges will ever hear a mass toxic tort case such as Daubert, this does not diminish the need to understand the Daubert rulings for questions of admissibility arise in a variety of civil and criminal cases. Much like the evidence offered, the judicial mechanisms for dealing with a Daubert challenge are still in the frontier stage. Attorneys will develop new means of both offering and challenging expert testimony, and the trial judge must be prepared to deal with them. It is the intent of this paper and those that follow to explore the many questions surrounding the judge's gatekeeping role. Acting as a roadmap for the expansive gatekeeping terrain, the remainder of this introduction outlines the history of judicial gatekeeping in Louisiana, and a synopsis of the more detailed discussions to follow. Although the adoption of the Code of Evidence and the growing acceptance of the Christophersen analysis helped bring relative uniformity to judicial practice in regards to admissibility of experts in Louisiana, there remained uncertainty as to what the proper standards for admissibility should be. In State v. Foret the Supreme Court of Louisiana helped clear up this confusion. State v. Foret: "The Reliability Threshold and Relevance"
In Foret (involving admissibility of expert testimony on Child Sexual Abuse Accommodation Syndrome in a prosecution for alleged sexual molestation of a juvenile under the offender's control or supervision), the Supreme Court of Louisiana unequivocally embraced the reliability and relevance standards enunciated in Daubert. The Court held that since article 702 of the Louisiana Code of Evidence(17) mirrors Rule 702 of the Federal Rules of Evidence, upon which the Daubert decision is based, the adoption of Daubert-like procedures for the admission of expert testimony would be both instructive in interpreting the Louisiana Code and helpful in moving towards a national law of evidence. (18) All told, the similarity between the federal and state evidence rules coupled with Louisiana's earlier rejection of the Frye test in favor of a more Daubert-like balancing test for admissibility(19) led the state Supreme Court to, "adopt Daubert's requirement that expert scientific testimony must rise to a threshold level of reliability in order to be admissible under La.C.E. art. 702. "(20) In order to flesh out exactly what such a threshold determination of reliability entails the state Supreme Court went on to accept the Daubert court's "observations" on what would be helpful in making this determination. As Louisiana courts become comfortable with the Daubert/Foret framework, the U.S. Supreme Court will attempt to clarify the "gatekeeping" role when it hears Joiner v. General Electric next term. While the Joiner case deals only with a standard of review question, it seems likely that the court will use this opportunity to clarify the issues left open in Daubert. If the Supreme Court adopts a de novo evidentiary standard, will the state supreme court abandon the abuse of discretion standard currently used? What about the other holdings of Daubert and its progeny? Judges versed in all of the Daubert issues will be well-prepared to deal with the bar's reaction to Joiner and the changes that will surely follow. It is with this purpose in mind that we turn to the substantive issues. What remains is a list of the major concerns surrounding Daubert. In the papers that follow, each of these issues is examined in detail. 2. What is the influence of summary judgment on the development of judicial gatekeeping? Gatekeeping clearly is rooted in the traditional division of responsibilities between judge and jury and on the distinction between fact and law. One way to view Daubert gatekeeping is as another means by which the judge may assert his role as arbiter of questions of law. In a practical sense, what is the relationship between admissibility decisions and motions for summary judgment? 3. What is the scope of a gatekeeping judge's admissibility determination in regard to assessing the reliability of expert testimony? How is Daubert a change from the Frye test? 4. How is a judge to determine whether expert testimony is reliable and relevant? Daubert dictates that a judge review the methodology but not the conclusions of an expert. This distinction is stickier than it appears at first glance. How does the methodology-conclusion debate impact a judge's admissibility determination? How do judges meet the Daubert command to exclude unreliable evidence without attempting to decide what constitutes "good science"? 5. Does Daubert apply to areas other than new science? Is science a special case? Or does Daubert-type gatekeeping also apply to experts in such fields as economics and psychiatry? If so, might the judge's evaluation of social science methodology differ from that of a "hard" science like biology or chemistry? 6. In toxic tort cases such as Daubert, plaintiffs attempt to establish causation through the use of epidemiological studies, which endeavor to measure a statistical relationship between exposure to an agent and the incidence of a harmful condition. Are such studies necessary to prove causation? Are they helpful? How should testimony relying on epidemiological evidence be treated? 7. Questions of admissibility can be quite complex when dealing with the testimony of an expert based on his "expertise" and experience in a given field. Physicians often present testimony to courts, and judges must decide whether or not it is admissible. How should a judge evaluate a physician's testimony based on differential ("clinical") diagnosis? 8. What are the procedural issues surrounding judicial gatekeeping? Practically speaking, how is the judge to accomplish his or her task? 9. Can Daubert hearings be given precedential value? Should one judge's assessment of certain scientific evidence command that other judges follow the same path? Or can the issue of adequacy of an expert's testimony be repeatedly litigated? How much should judges worry about conflicting court decisions on the validity of certain types of methodology? 10. What is the standard for appellate review of a Daubert hearing? Should a trial judge's evidentiary determination be subject to the traditional discretionary standard? Or should de novo review be applied so as to create more consistent treatment of scientific evidence? The current split in federal courts surrounding this issue will be decided next term in the Joiner case. What are the policy implications of the Court's options? 11. Judges are not scientists nor statisticians, yet they are asked to make admissibility rulings on expert opinions that are often grounded in statistical studies. How much weight should judges lend to statistical measures of scientific proof? More specifically, how important are "significance levels" and "confidence intervals" in determining the reliability of a certain study? Nowhere is the uneasy interface between science and legal evidence more apparent. 1. 293 F. 1013, 1047 (D.C. Cir. 1923). 2. United States v. Addison, 408 F.2d 741, 744 (D.C. Cir. 1974). 3. See generally, Commonwealth v. Lanigan, 419 Mass. 15, 25, Commonwealth v. Curnin, 409 Mass. 218, 223 n. 8, 565 N.E.2d 440 (1991). 4. 509 U.S. 579, 113 S.Ct. 2786 (1993). 9. 628 So. 2d 1116 (La. 1993). 10. 416 So. 2d 78 (La. 1982). 11. See Bonnie J. Davis, Note, Admissibility of Expert Testimony After Daubert and Foret: A Wider Gate, a More Vigilant Gatekeeper, 54 La. L. Rev. 1307, 1331 (1994) (quoting Wheeler, 416 So. 2d at 80). 13. 368 So. 2d 975 (La. 1979) (rejecting the Frye general acceptance test and instead articulating a probative value versus prejudicial effect balancing test). 14. Davis, supra note 11, at 1331. See Schwamb v. Delta Airlines, Inc., 516 So. 2d 452 (La. App. 1st Cir. 1987), writ denied, 520 So. 2d 750 (1988) (applying Wheeler analysis in civil trial context). 15. 939 F. 2d 1106 (5th Cir. 1991), cert. denied, 112 S. Ct. 1280 (1992). 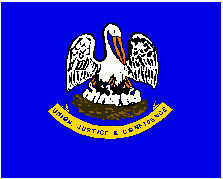 The Louisiana Court of Appeals for the fourth circuit adopted the Christophersen standards in Adams v. Chevron, 589 So. 2d 1219 (La. App. 4th Cir. 1991), writ denied, 592 So. 2d 415 (1992). The second circuit adopted the Adams and Christophersen analysis in State v. Hill, 601 So. 2d 684 (La. App. 2d Cir. ), writ denied, 608 So. 2d 192 (1992). The third circuit followed suit in Glankler v. Rapides Parish School Board, 610 So. 2d 1020 (La. App. 3d Cir. 1992), writ denied, 614 So. 2d 78 (1993). See Davis, supra note 11, at 1332. 16. Christophersen, 939 F. 2d at 1110. 17. Louisiana Code of Evidence article 702 reads, "If scientific, technical, or other specialized knowledge will assist the trier of fact to understand the evidence or to determine a fact in issue, a witness qualified as an expert by knowledge, skill, experience, training, or education, may testify thereto in the form of an opinion or otherwise." Foret, 628 So. 2d at 1121. 18. 628 So. 2d at 1122. 19. See Cantanese, 368 So. 2d 975. 20. 628 So. 2d at 1123. 21. See Clement v. Griffin, 634 So. 2d 412, 427 (La.App. 4th Cir. 1994). 22. See Young v. Logue, 660 So. 2d 32, 50 (La.App. 4th Cir. 1995). 23. 634 So. 2d at 426. 24. Louisiana Code of Evidence article 403 generally follows Federal Rule of Evidence 403. See Foret, 628 So. 2d at 1127. 26. One notable exception is the field of hedonic damages where the first circuit has declared that the Foret/ Daubert inquiry is inappropriate for determining admissibility of such testimony. See Chustz v. J.B. Hunt Transport, Inc. 659 So. 2d 784 (La. App. 1st Cir., 1995). 27. See Williamson v. Haynes Best Western of Alexandria, 688 So. 2d 1201, 1241 (La. App. 4th Cir., 1997). 28. See Bryant v. Tidy Building Services, 678 So. 2d 48, 49 (La. App. 4th Cir. 1996).